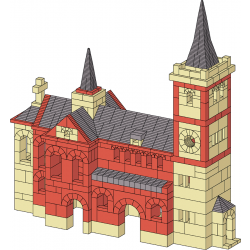 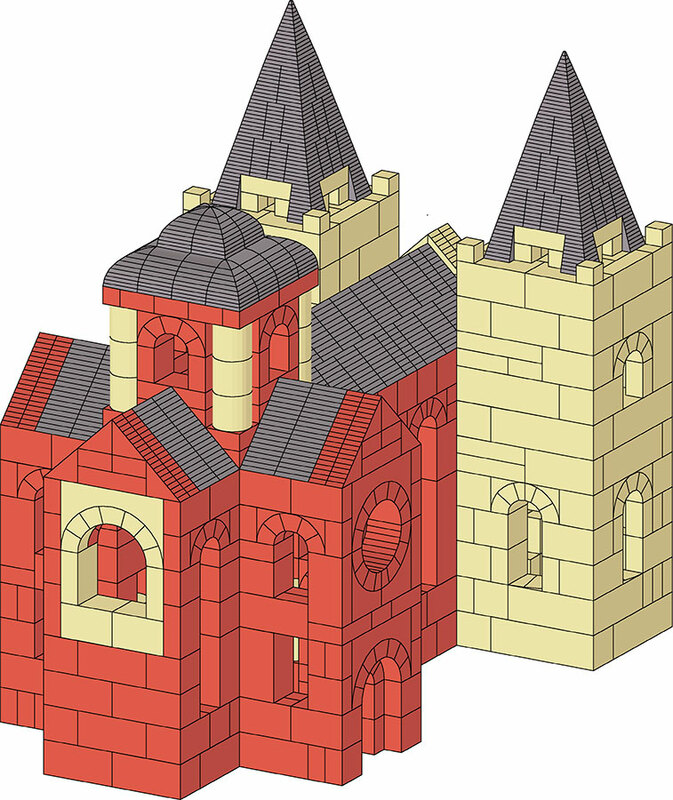 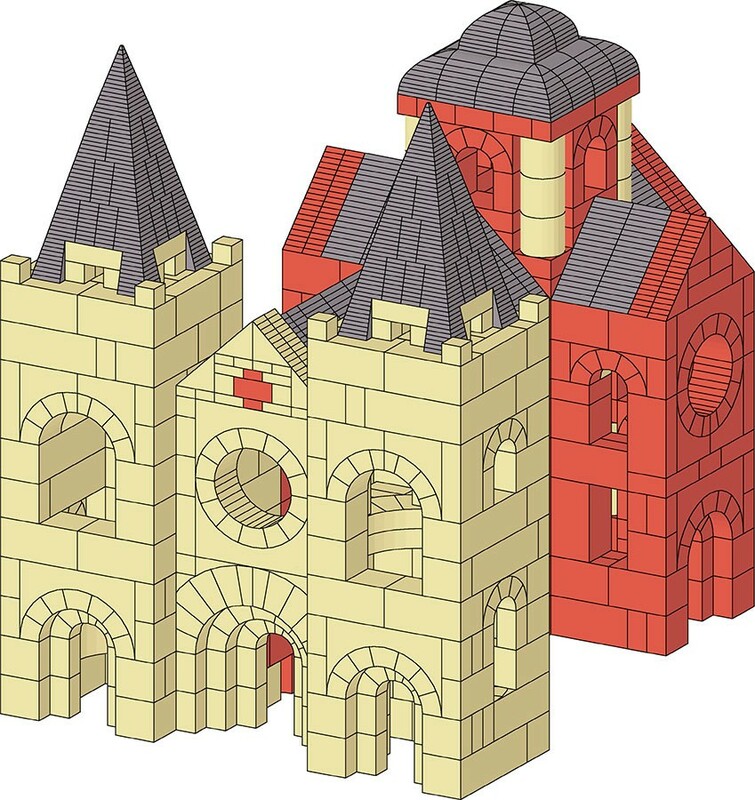 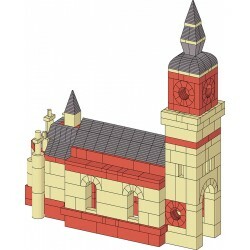 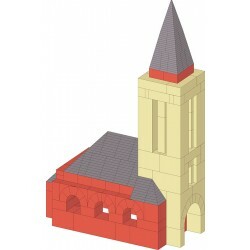 This church building plan includes elevation and sectional drawings for a traditional European Romanesque Cathedral design. 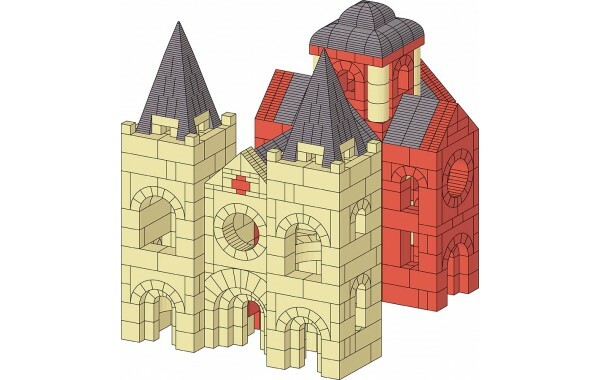 The architectural plan features a dual tower front facade connected to the cross-shaped main portion. 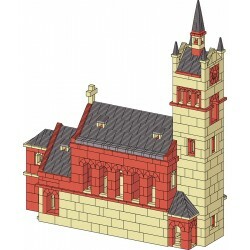 The small width of the nave is limited by 208 roof tiles.